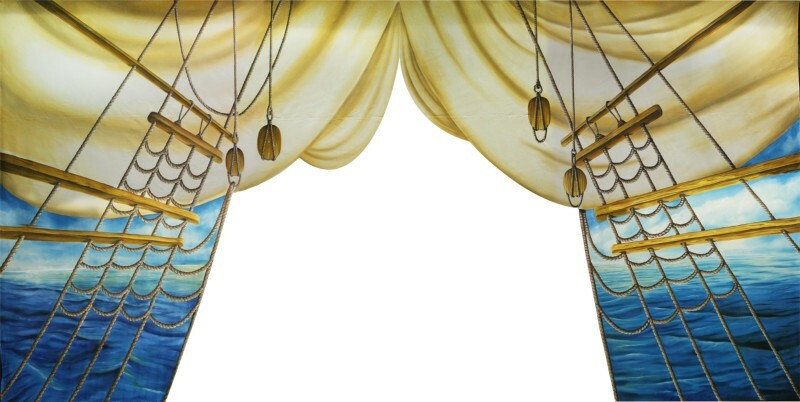 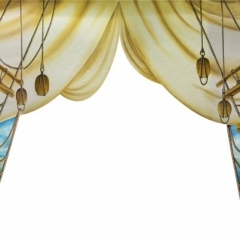 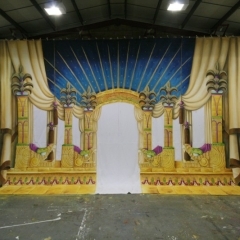 A new design by Ian Westbrook and sets and cloths made in house. 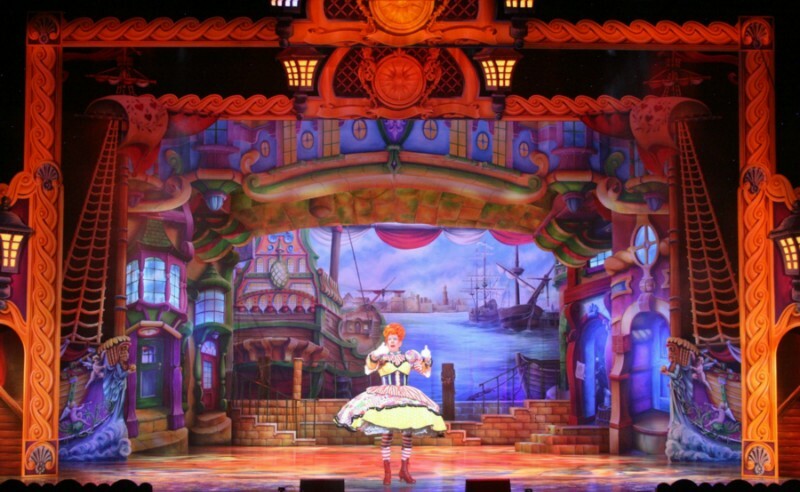 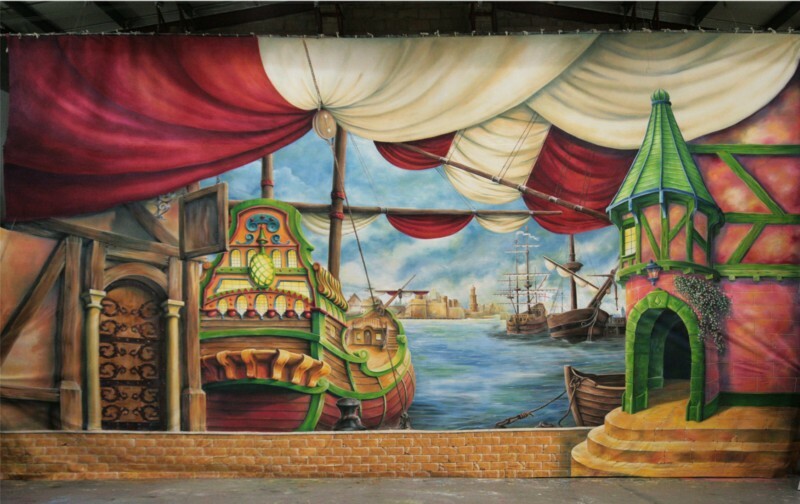 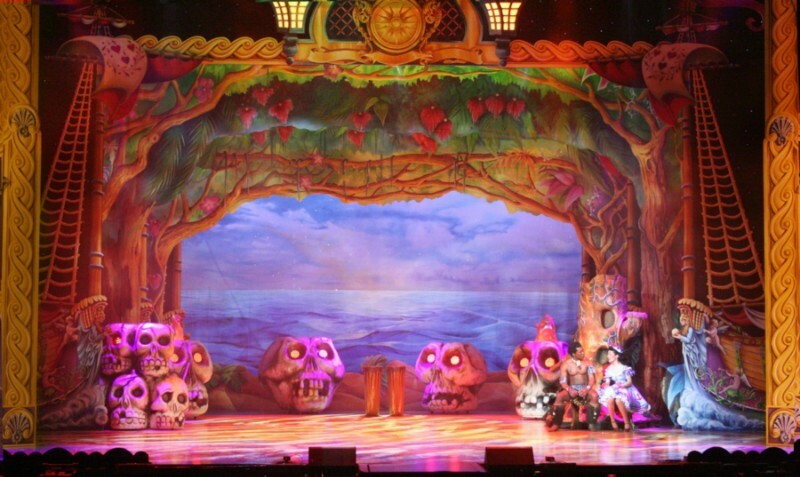 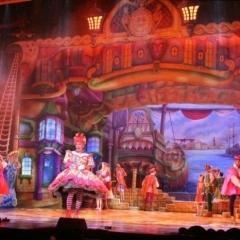 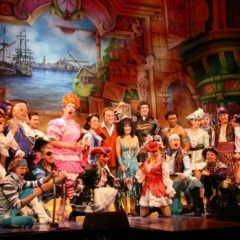 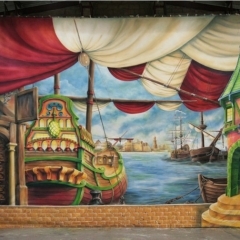 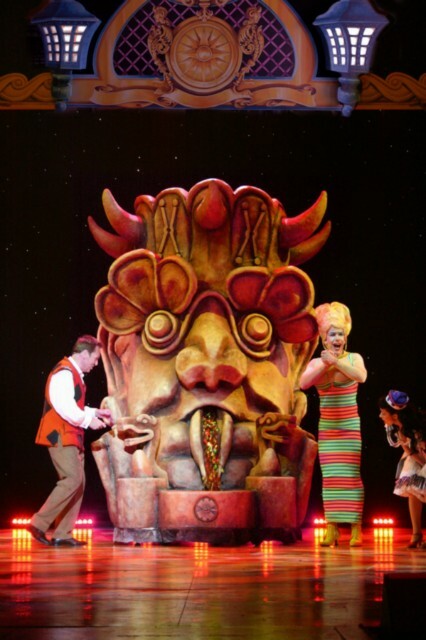 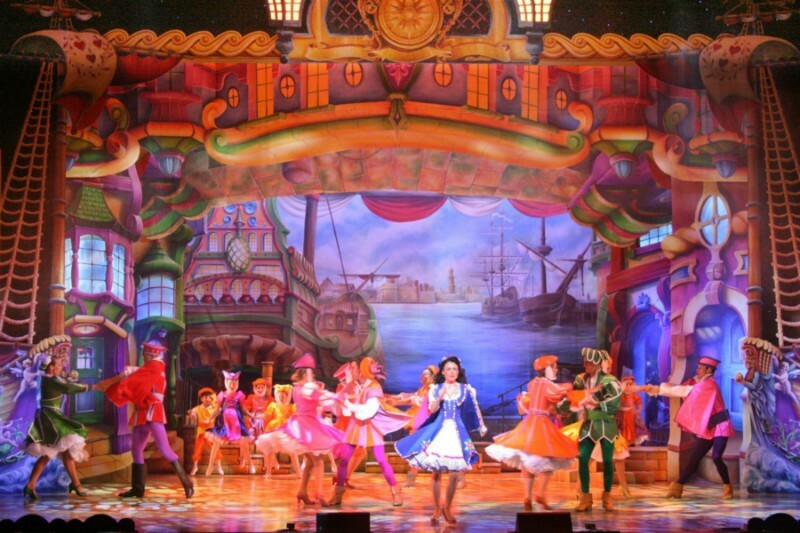 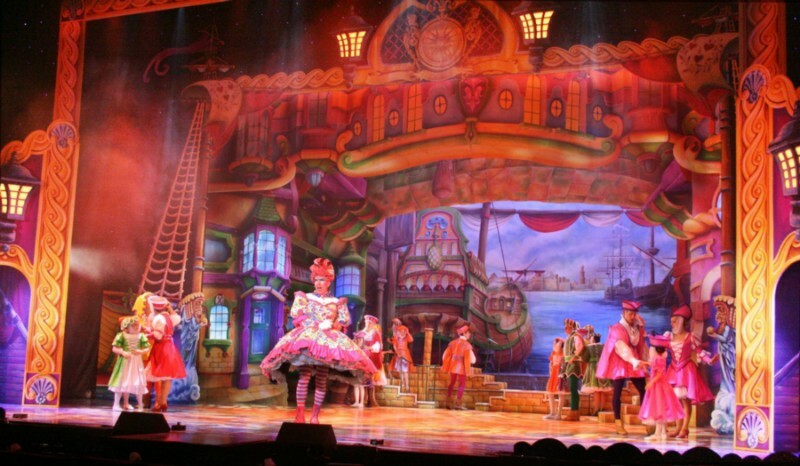 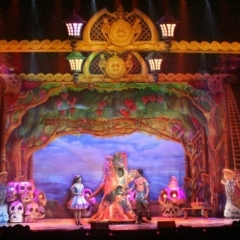 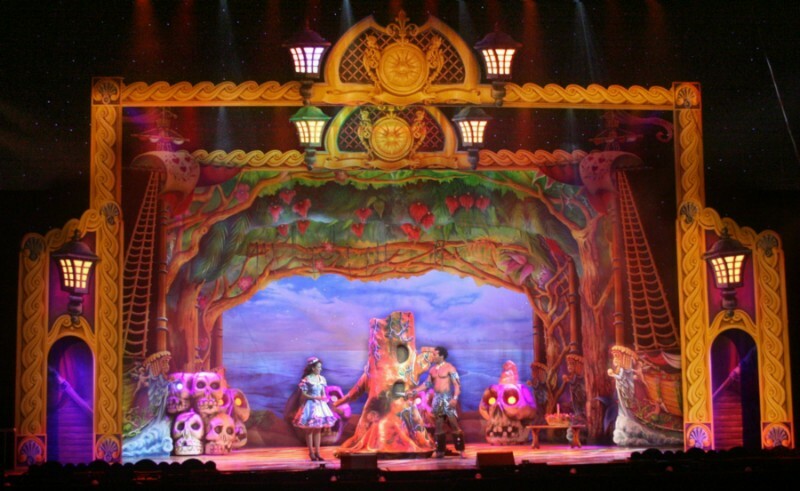 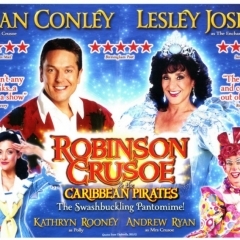 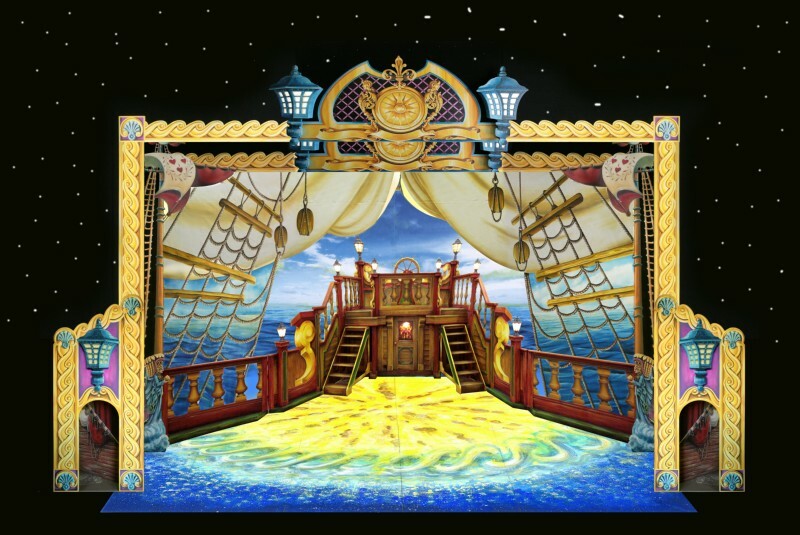 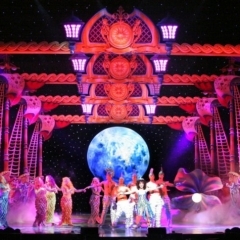 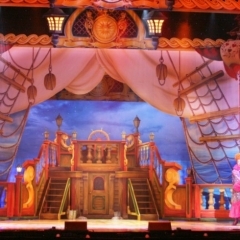 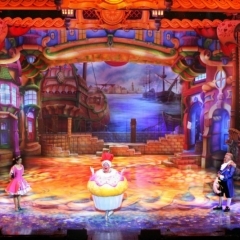 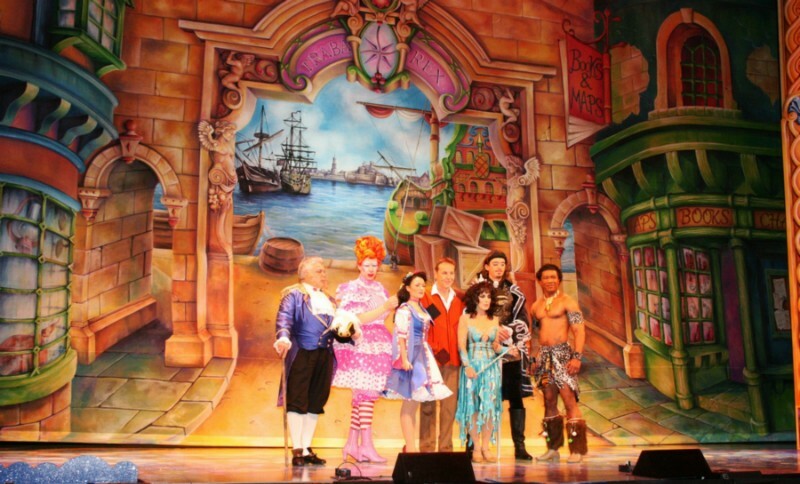 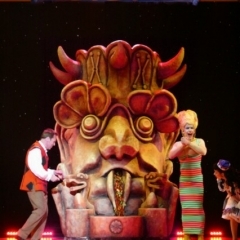 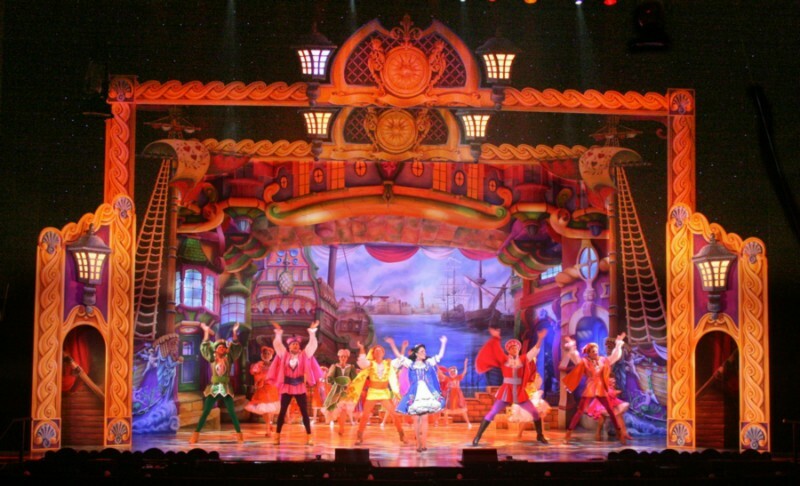 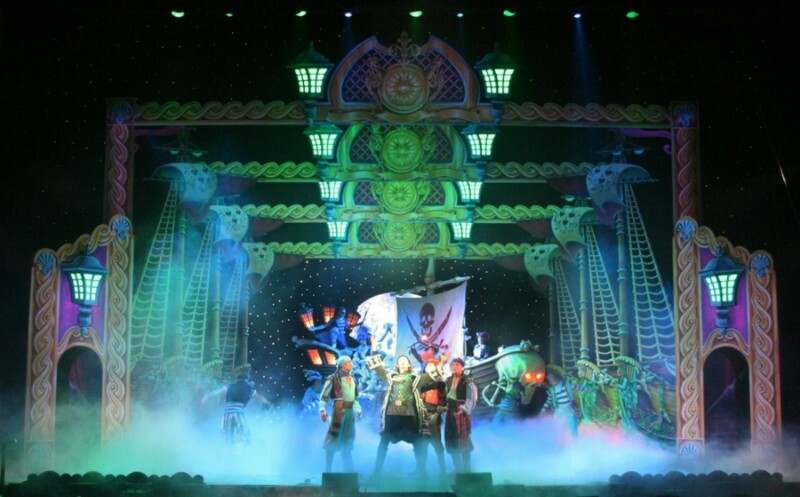 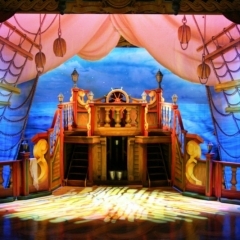 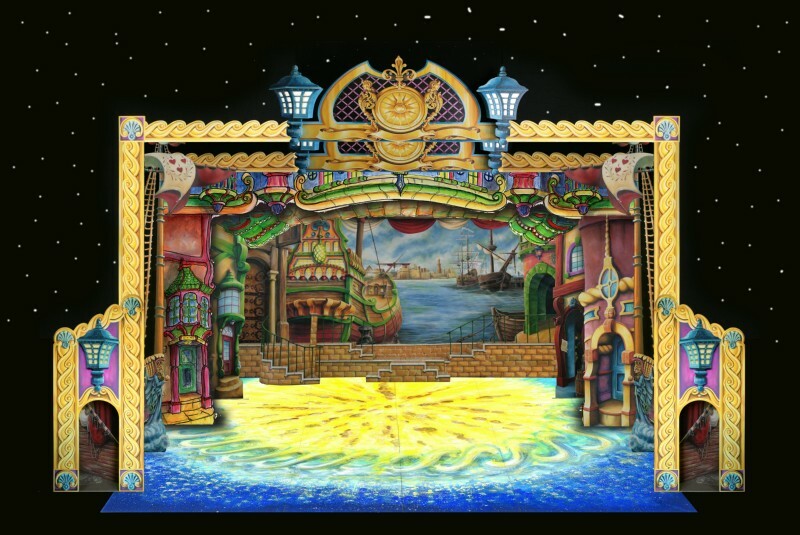 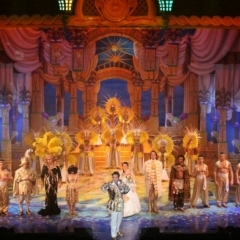 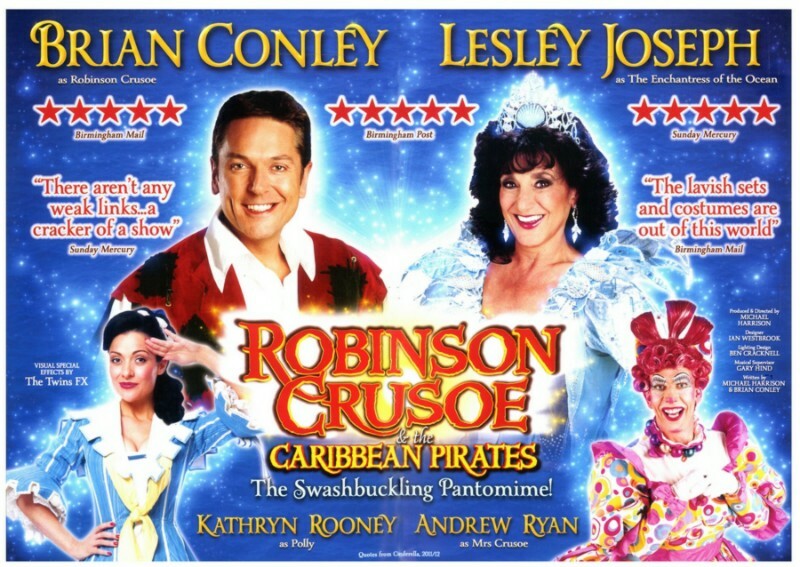 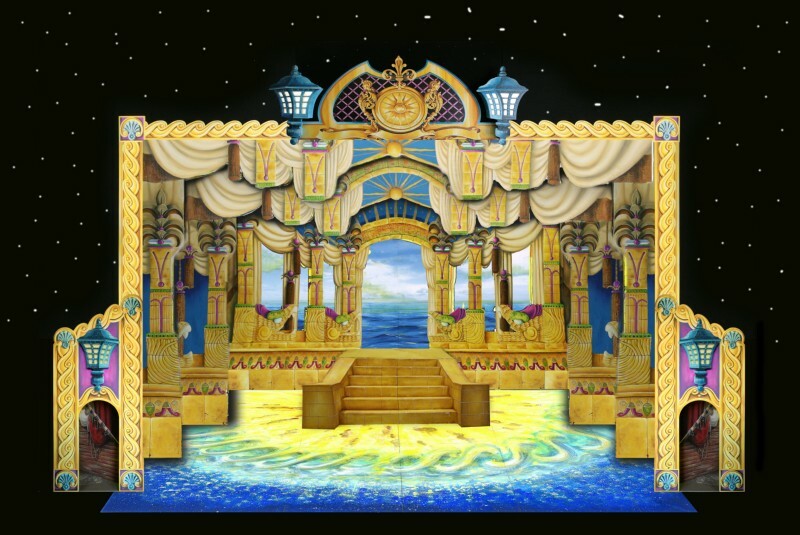 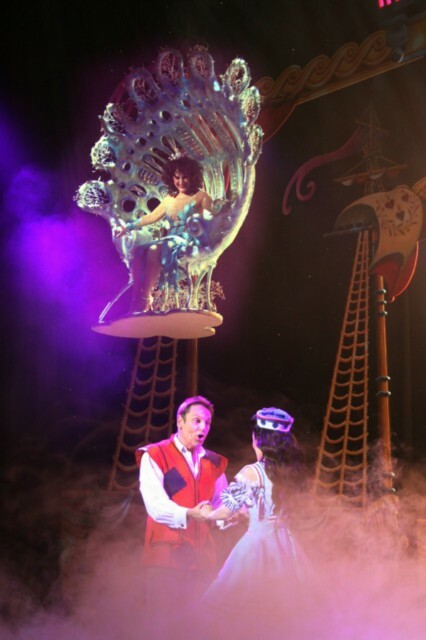 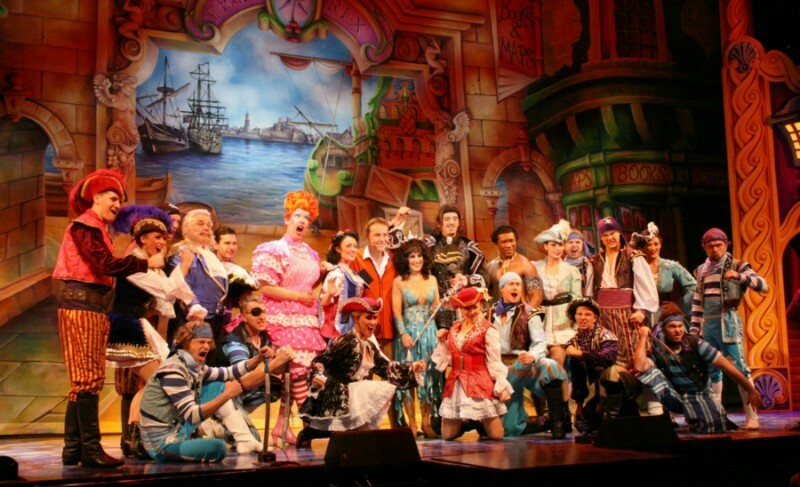 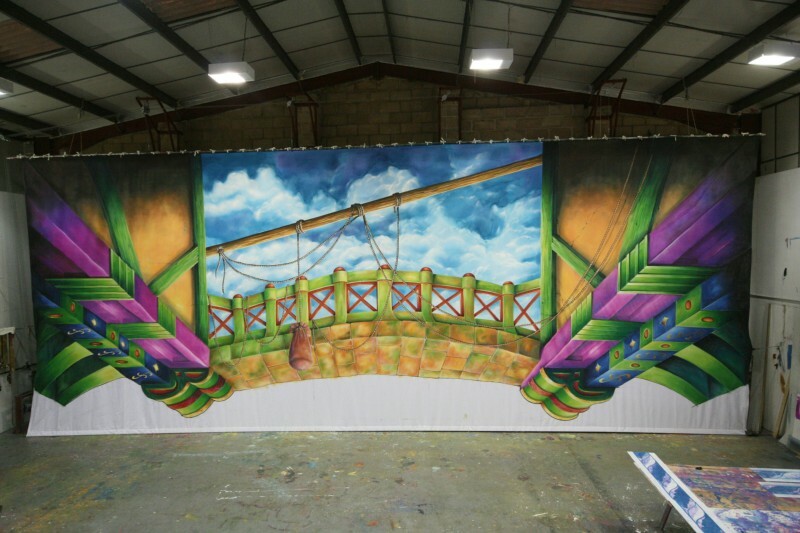 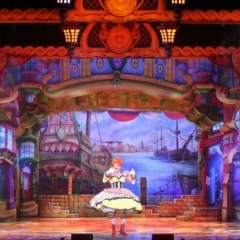 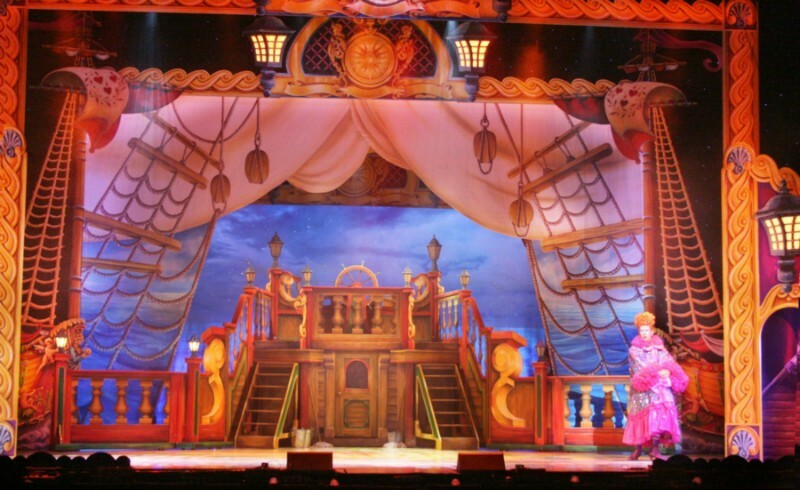 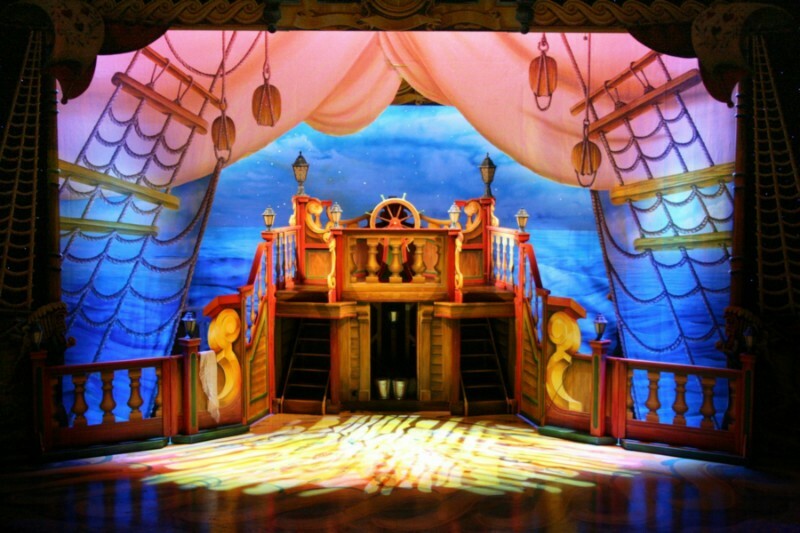 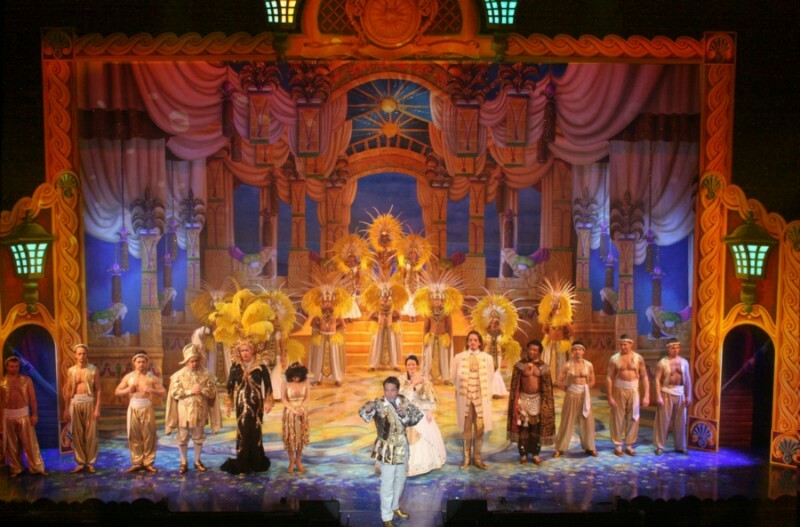 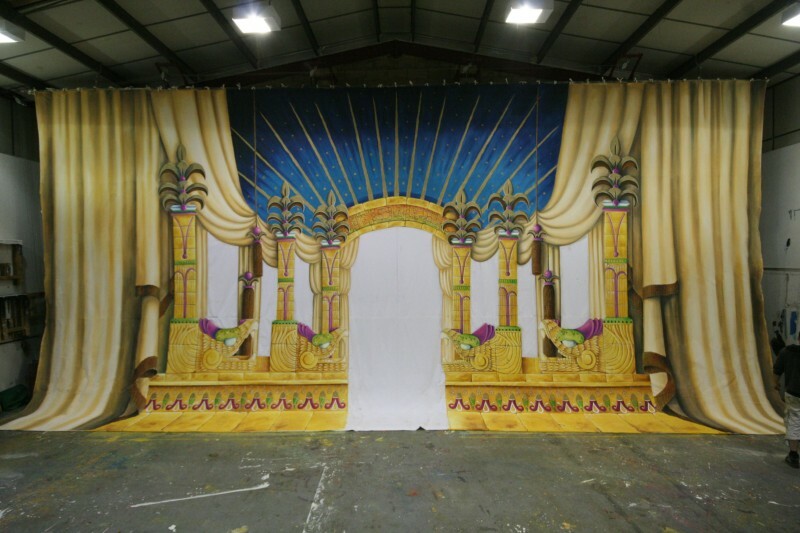 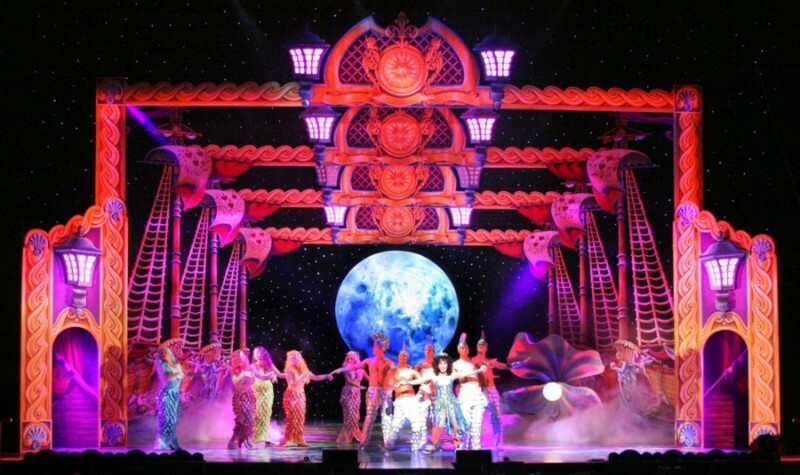 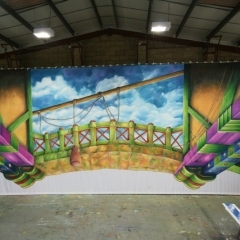 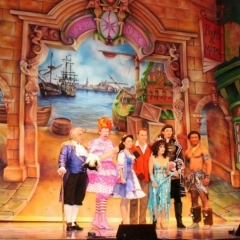 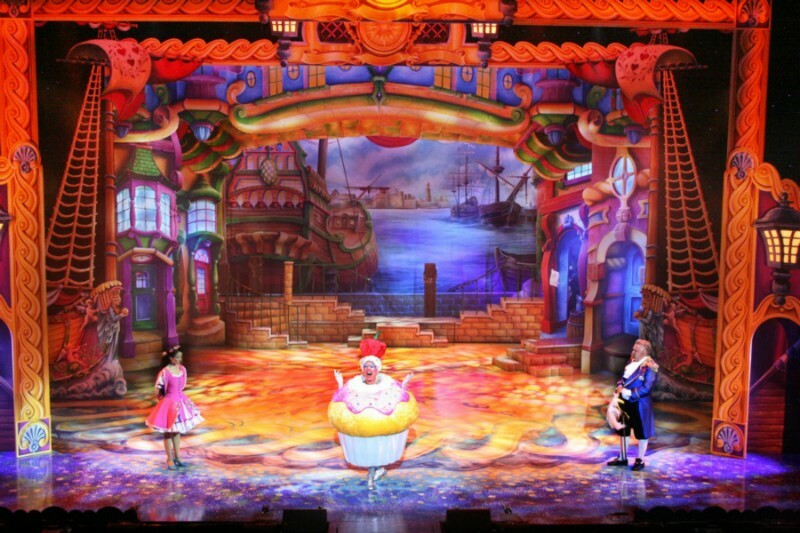 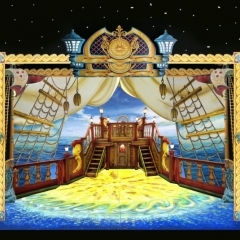 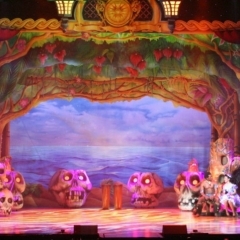 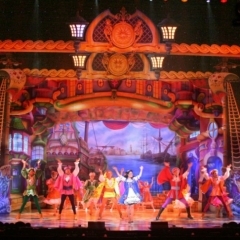 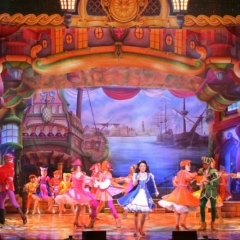 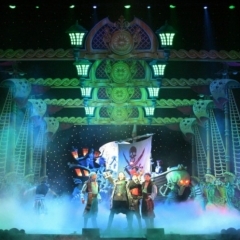 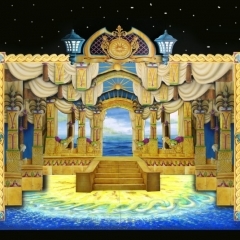 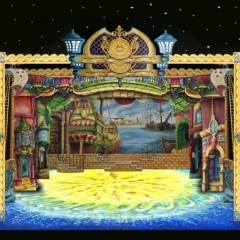 We have two full sized pantomime ships in this show and a Aztec Temple God that pours out gold coins from its mouth. 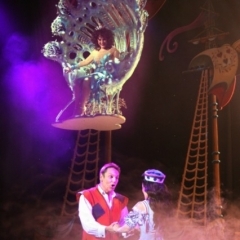 Complete with real fire effects. 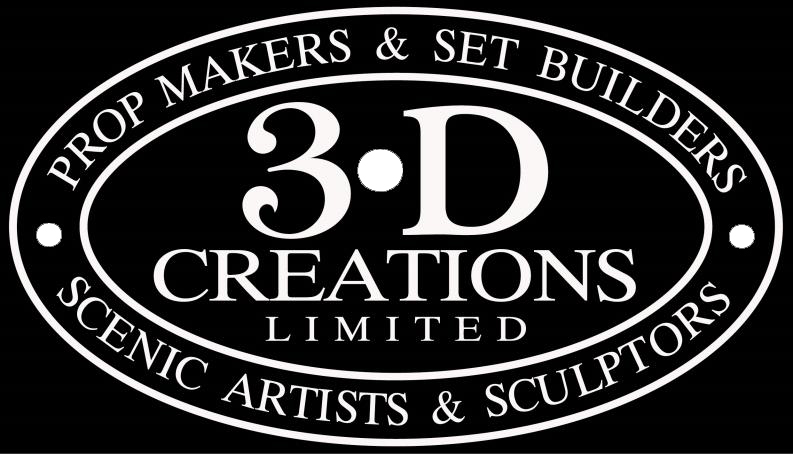 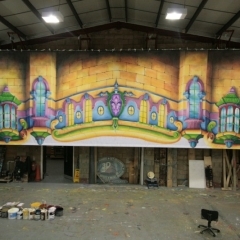 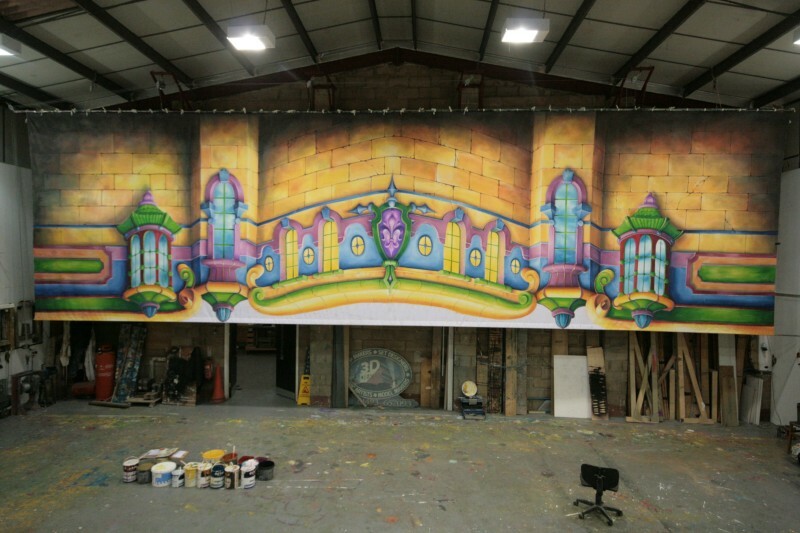 All the scenery portals are fitted with fibre optic LEDs.